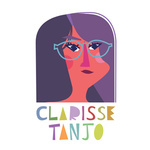 I am an illustrator that specializes in shaped driven and colorful artworks targeted for all age groups. I tell my stories through illustrations with inventive design solutions...Read moreI am an illustrator that specializes in shaped driven and colorful artworks targeted for all age groups. I tell my stories through illustrations with inventive design solutions and stylised draftsmanship. I work mostly digitally these days specifically on illustrator and photoshop but would sometimes work in gouache or watercolour. I try to bring something new to classic subjects we all know and love. I have a bachelor's degree in illustration and am more than comfortable with the use of software related to the design of illustration. Out of the four years in school I have received various experiences, I have worked both collaboratively and independently as an illustrator and muralist with a whole range of people including teams from advertising, fine art, comic and graphic design. When I'm not at illustrating, you will find me in my kitchen with an apron strapped to my waist, cooking and baking.